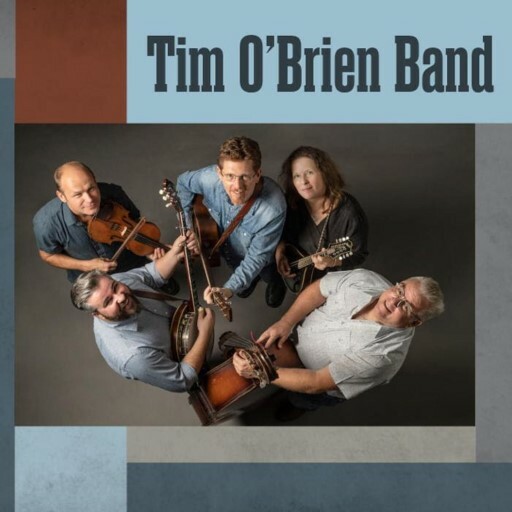 With more than 30 albums under his belt, collected under a panoply of different bands and projects, it’s not as if there’s anything more to prove in the bluegrass world, as far as Tim O’Brien is concerned. He’s worked with every legend, and mentored practically every legend in the making for the last two decades. He’s performed at every venue that would ever put a bluegrass band on stage. And he’s written a ridiculous number of songs along the way. And yet, Tim O’Brien persists. At 64 years old, he keeps right on plucking those banjo strings, and he keeps churning out the new tunes. In recent years and recent albums (2015’s Pompadour, 2017’s Where The River Meets the Road), those tunes have increasingly felt a bit rote, and perhaps O’Brien has been aware of this feeling of entropy. For whatever reason, he returns to us now in 2019 with the first offering from a project both technically new and comfortingly familiar: The simply titled “Tim O’Brien Band.” Flanked by collaborators Mike Bub, Shad Cobb, Jan Fabricus, Patrick Sauber and Bryan Sutton, they’ve crafted a shared collection of songs that benefit less from sonic exploration and more from air-tight execution. — Sweet, wholesome sounding duets like “The Other Woman” that are marked by their pragmatic, modern outlooks on love. — Classic, minor-key folksin’, as on “Wind” or “My Love Lies in the Ground,” both of which O’Brien delivers beautifully. That final category is one area where O’Brien has always excelled as a writer, and on Tim O’Brien Band he manages to produce a few more classics in that vein, to further pad his resume. My favorite is ultimately “Beyond,” a song that perfectly encapsulates the artist’s sensibilities: One part slave spiritual, one part Appalachian bluegrass and one part “Ghost Riders in the Sky.” From its lonesome fiddle to its swelling, harmonizing conclusion, it’s the perfect three-minute, macabre-sounding folk tune. It’s also the sort of song I’m surprised O’Brien can still effortlessly drop onto a new album, some 42 years after recording his debut. Hell, Tim O’Brien Band even includes a line about hop harvesting in Oregon at one point, seemingly in a direct appeal to Paste’s craft beer sensibilities. We have to ultimately tip our caps to the guy—the world keeps turning, and O’Brien finds a way to turn with it. Perhaps that’s what he’s try to evoke by inserting a reprise of the 2008 song “Crooked Road,” which makes reference to the day when O’Brien will finally “say goodbye.” Given his output here, we hope that day is still comfortably far off.